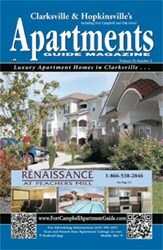 The Clarksville Apartment Guide / ClarksvilleApartmentGuide.com has launched all of the latest online tools needed for quick and easy apartment hunting with a mobile web site, iPhone and Android apps, profiles on all of the top social media sites, and all of their communities are now listed on the national site ShopApartments.com. 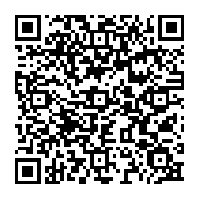 Now looking for a home in the Clarksville area is simple and efficient. With 25 years of experience, our team continues to generate qualified leads through our multimedia platform for our valued advertisers. Most people today live a fast-paced, mobile lifestyle, which includes daily interaction on at least one top social media site, and people expect to be able to do everything from their mobile devices just as easily as they do from their computers. So to keep up with today's technology The Clarksville Apartment Guide has launched a mobile web site and mobile applications for Androids that empowers customers looking for an apartment home to browse communities, review floor plans, find out current rent, get directions and more, all while on the go. The print edition of The Clarksville Apartment Guide is distributed to over 300 locations with over 130 of the best apartment communities in the area listed. With over 100,000 copies in print and its vast online presence, the guide offers its advertisers more exposure than ever, and apartment-hunters in the area are getting the information they need without interrupting their fast-paced, mobile lifestyle. 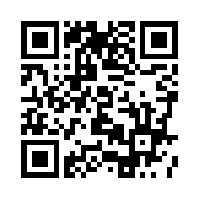 The mobile site for ClarksvilleApartmentGuide.com is a simplified version that offers the most-used features of the full web site, and is compatible with most popular mobile phones and devices. "People don't have to worry about planning out their search for a new apartment home and driving around town with a map. Thanks to today's mobile technology they have all the information they need at their fingertips, and we make sure our clients have access to that technology as well," said Janie Curtis, Publisher for The Clarksville Apartment Guide. With users creating buzz on all of the social media sites about the best areas and communities to live in, sometimes the perfect home falls right into the apartment-hunters' hands... or in their news feed... so The Clarksville Apartment Guide is now active on all of the social media favorites; Facebook, Twitter, Pinterest, LinkedIn and YouTube. The guide has also just announced that they exclusively represent the Clarksville area on the national web site ShopApartments.com. "With 25 years of experience, our team continues to generate qualified leads through our multimedia platform for our valued advertisers. We are the most economical way to advertise in our market through web and print," said Janie Curtis, Publisher of The Clarksville Apartment Guide.